We strive to provide quality flooring designs, products, and services to our customers at a fair price. Whether you are a Home Owner, Contractor, Designer, or Architect, our expert craftsmanship and attention to detail will bring your project to life. We pride ourselves in consistently following project schedules and standing by our guarantees. So, if you are remodeling or building, Haywood Floor Covering Inc. will use our expertise for your flooring needs. Specializing in Tile, Hardwood Refinishing, Carpet, Vinyl, Resinous Flooring, Concrete Polishing & Staining, VCT, LVT, Custom Tile Shower Designs. Siewers Lumber and Millwork, Richmond's oldest lumberyard, etablished in 1884, is a full service lumberyard and has a planning mill to manufactuer all your millwork needs. We also carry windows, doors, mouldings, shutters, columns, kitchen/bath cabinets and much more. Providing Cost Effective Solutions For Your Home Planning a renovation or an addition, scheduling the work and managing the day-to-day reality of construction in and around your own home can be seen as a fascinating challenge or a logistical nightmare. Much like a wedding planner, travel agent or personal assistant for your other needs, Concierge Home Solutions offers a simple, effective way of sorting through the clutter, simplifying the process and letting you focus on the details that are most important to you. Concierge Home Solutions is the culmination of 25 years of my experience in private remodeling, renovation and home decor. Over that time, I have paid general contractors, project managers and designers (once) only to end up finding a solution to the issue at hand myself. Through multiple projects including structural additions, complete gut-and-redo’s, and new construction modifications I have amassed a wealth of professional knowledge. This expereince, paired with a fully developed network of sub-contracting partners allows me to offer preferred pricing and scheduling to meet my client’s goals. A local business that was created in 1986. 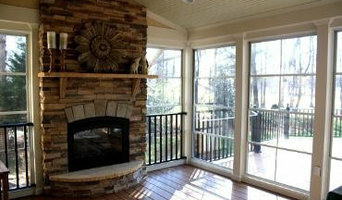 We build decks, additions, garages, sunrooms, and remodel. 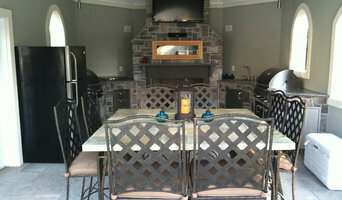 We are class A builders specializing in complete backyard renovations. We can turnkey your backyard with pools, pool houses, outdoor game rooms, fireplaces, patios or any other features we can provide to set your yard apart from others. One of a kind we can promise! Everyone Says It, We DO It The construction world is full of companies who talk about quality work. At Upscale, you can count on our quality because we build each item just as we would in our own homes. We do what we say, each and every time. Take a look at what our clients say about us and you will realize, Upscale delivers the attention to detail, exquisite customer experience and master craftsmanship you deserve. Contact us to have one of our experienced, trusted designers visit you. You'll learn everything you need to know to evaluate your project and decide how to proceed. Isn't it nice to know that there is a contractor you can really trust to arrive on time, do great work and clean up after themselves? Experienced, trusted, craftsmen. That's the Upscale difference. I am a Project Specialist Exterior for the Lowe's Of Newport News. I specialize in guaranteed installations that are done to the manufacturers specifications. 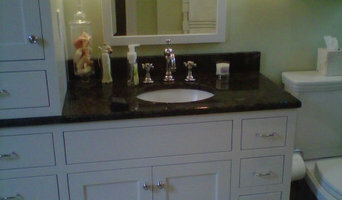 If you are looking for Home Improvement services in Colonial Heights or within the surrounding areas, look no further! With 30+ years of experience in the Drywall Home Improvement business, we guarantee that your search for professional improvement services ends with Gagnon Drywall Home Improvements ! 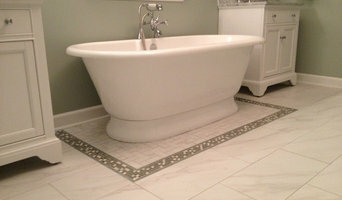 I am a local flooring contractor in Charlottesville Virginia. I have been installing tile and hardwood floors for over 6 years. It is my passion and I strive to be the best. Chris Chase Studio specializes in small construction projects requiring a high degree of precision and care. Chris is a craftsman of various materials, specializing in wood working. Projects range from small scale architectural model making to stand alone buildings. Marathon Resource Management Group is a full-service construction, facility maintenance, and asset management company headquartered in Virginia. With clients located in Canada and the USA including Hawaii and Puerto Rico. Our company represents a rare combination of a broad, national reach with local execution, with more than four decades of experience in a variety of industries, we have the network and the ability to provide our clients with customized services to fit their business needs. By meeting our clients’ selective and strict qualifying measures, we become a true extension of their business as well as a trusted ally. Clients count on us for a wide breadth of services, which helps keep their contractors streamlined and costs reasonable. Royal Cleaning Services is a commercial cleaning contractor / janitorial service serving the Richmond, VA area. Services include Commercial Cleaning, Cleaning Service, Office Cleaning, Janitorial Services, House Cleaning, Floor Cleaning, Commercial Window Cleaning, Window Cleaning, Construction Cleaning, Rental Property Cleaning, Floor Stripping, Carpet Cleaning, Porter Services, Move In and Move Out Cleaning, Apartment Cleaning, Deep Cleaning Services, Pressure Washing, Restaurant Cleaning, Kitchen Hood Vent Cleaning, Retail Cleaning, Restroom Cleaning, Sanitizing Services and Green Cleaning. architectural and ornamental metal fabrication specializing in aluminum, steel, brass, bronze, copper, stainless steel and zinc. Whether you’re looking for a team of Montrose, VA professionals or a handyman for a small renovation, you’ll find dozens of professional profiles and contact information for specialty contractors here on Houzz. Here are some related professionals and vendors to complement the work of specialty contractors: General Contractors, Landscape Contractors, Architects & Building Designers, Interior Designers & Decorators, Kitchen & Bath Designers. Let’s say you want to install custom wood flooring in your dining room, and you’ve found a Montrose, VA company with excellent reviews. Next you’ll want to contact the company and make some inquiries. Find specialty contractors on Houzz. Look in the Professionals section of our website under Montrose, VA specialty contractors, then select the nearest metro area for a contractor. You can also look through Virginia photos of completed projects to see how a contractor might approach design challenges.